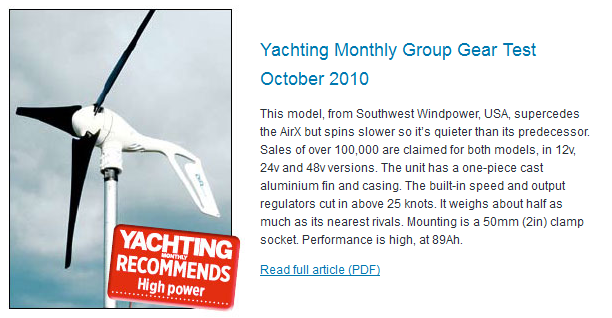 e Marine Systems, a Southwest Wind Power master distributor, is benefiting from this new interest in wind generators. President Obama visited the highly endorsed Southwest Wind Power in Flagstaff, AZ because they are the largest worldwide manufacturer of small wind generators (100 KW and below). It is difficult to truly appreciate how emerging technologies impact our economy. It is not just about manufacturing of wind generators. The generators require poles to mount them plus wires and controls for proper connectivity and installation. Being mechanical devices, they eventually require maintenance. Open the bonus door of economic opportunity? Absolutely, but those are some of the unseen sidelines of the Recovery Act that help small companies lift off the ground to grow. e Marine Systems is one such small company located in the heart of Fort Lauderdale that is now capturing the opportunities of putting these wind generators into operation and keeping them running. 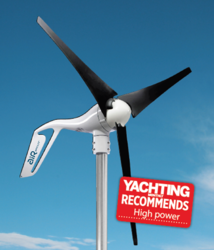 e Marine Systems is a Southwest Wind Power master distributor and an authorized warranty repair facility. It has developed new products for supporting the installation of wind generators, which include control panels (hybrid solar and/or wind), innovative vibration absorbing mounting poles and complete installation kits. This has allowed the consumer to become easily empowered to use the wind generator by getting into their hands everything needed to get this energy creating product harvesting power from Mother Nature like a farmer does with grain. Additional opportunities are created as e Marine Systems develops a new business segment in servicing and testing wind generators, such as the Air Breeze and Air-X models by Southwest Wind Power, for the massive 130,000+ units currently manufactured. With expanded use in remote homes, RVs and Marine applications (off grid), the need to convert this wind generated DC energy into usable AC requires a pure sine wave inverter, such as American made Magnum Power Inverters. This has driven an upswing in inverter sales too. Pure sine wave inverters also require support and service therefore creating another new demand, which e Marine Systems now supports. Obama’s signing of the American Recovery and Reinvestment Act of 2009 is having an impact. Yes, it is slow but growing and the benefits will reach far into the future. e Marine Systems can attest to it. 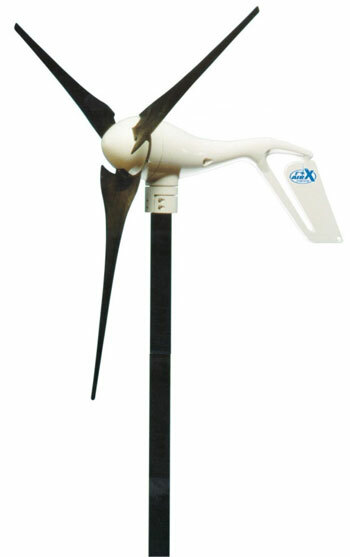 e Marine Systems provides solar and wind generators, mounting kits and has a large inventory of parts. They also service renewable energy system components. Through the products they supply, e Marine aims to promote renewable energy solutions among boat, RV and remote home owners. Visit http://www.emarineinc.com for more info. 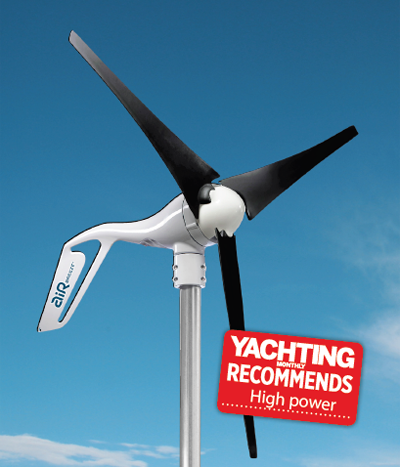 Air Breeze Wind TurbineAir Breeze Wind Turbine Air X Wind GeneratorAir X Wind Generator Yachting Monthly RecommendsYachting Monthly Recommends - Air Breeze Obama Agrees: Wind Generators Make More Than Just Energy!